After weeks of dizzying speculation, shilling and spin-doctoring, The New Frontier in prizefighting opens tonight when “Premier Boxing Champions” makes its prime time debut on NBC with a card topped by a crossroads bout between Keith Thurman and former two-division titlist Robert Guerrero at the MGM Grand in Las Vegas, Nevada. Ultra-tony television commercials featuring bow-ties, suits and lighting on par with the cinematography of Sven Nykvist have infiltrated even hockey and curling broadcasts over the last month and the mere notion of widespread exposure on free television has driven boxing observers into a collective tizzy, admittedly not the most difficult thing to achieve. The last time championship boxing was on NBC in prime time was in May 1985, when Larry Holmes and Carl Williams fought a pitched battle for the heavyweight title over 15 rounds. That fight drew an astonishing 18.5 rating or roughly 16 million households. These figures underscore the popularity of The Manly Art in the 1980s – the last time boxing came close to being a mainstream sport. In fact, in those days, television networks used boxing as a strategic bulwark against each other during ratings wars. Now, 30 years later, Al Haymon has resurrected the free-TV-as-a-weapon model in hopes of monopolizing a sport that has never been tamed. Several tycoons, magnates and impresarios have dabbled in boxing over the years, including Jerry Buss, Josephine Abercrombie, Donald Trump, Jeff Wald, Jerry Perenchio and Steve Wynn but none of them made boxing the focal point of their portfolios. Only corrupt James Norris, whose International Boxing Club maintained control of prizefighting in the 1950s by using the grim services of ex-Genovese triggerman Frankie Carbo, spent most of his energy on boxing. Until the IBC was dissolved when the U.S. District Court ruled it was a monopoly, Norris had the kind of chokehold Haymon is seeking. And the aggrieved party in this power play is neither the fighters (most of whom have sworn allegiance to Haymon) nor the consumers (who, after all, are now seeing for free what they once had to pay for on Showtime). No, it is the industry itself that will be set on it its heels. For now, promoters, managers and networks will all have to scramble to keep their footing in a business where standards are rarely enforced. The ghostly Haymon – as much on the down low, it seems, as Whitey Bulger was for over 20 years – will never rank high on the Transparency International Index. By the same token, boxing is earning serious mainstream media coverage without anyone mentioning the implicit conflict of interest of having a manager/adviser control both sides of a fight – only a step or two away from rigging outcomes – in practically every match-up. Do we really need more skullduggery and cloak-and-dagger in boxing? For over 50 years, the United States has flirted with the possibility of federal oversight of one of the largest unregulated industries in America but nothing has ever come of it except for a few congressional hearings and the enactment, on the heels of the Professional Boxing Safety Act, of the Muhammad Ali Boxing Reform Act in 2000. The fact that one of the few regulations on the books concerns the firewall between manager and promoter – as outlined in the Ali Act – ought to serve as a serious warning sign for the entire PBC venture. Fans and advocates are always caterwauling about the sleaze and corruption endemic in boxing – until Danny Garcia and Lamont Peterson square off in an over-the-weight fight or two journeymen like Andre Berto and Josesito Lopez are slated to mix it up on Spike TV. At this point, the PBC endgame still seems out of sight but paying networks to air product seems designed to raise the Q rating of certain fighters in order to cash in on them later. And Keith Thurman, who enters the ring against Guerrero as a solid favorite, may be one of the key figures Haymon is banking on as a future moneymaker. Part of the youth cult movement that tends to overrate fighters based on promise alone, Keith Thurman is looking to solidify any number of overreaching claims made on his behalf. If stardom is ever going to be in his reach, then Now – with a capital N – is the time. Charismatic and erudite, Thurman rode the Al Haymon Express – and two-fisted power – to acclaim until he seemingly derailed against Leonard Bundu last December. Although Thurman, 24-0 (21), notched a shut-out decision over the limited 40-year-old (surely the only native from Sierra Leone ever to appear on premium cable), he was uninspired and uninspiring. After Thurman scored a knockdown in the first round, not even Mauro Ranallo could drown out the boos that filled the MGM Grand Arena. This time, and with a far-reaching platform to showcase his talent, Thurman has a chance for a breakthrough performance that may mean more than all of his previous victories combined. He just has to get past Guerrero, 32-2-1 (18), who has become a marketing force if not a ring presence. Nearly every public move Guerrero makes is documented via a flood of press releases and HTML gobbledygook. In that sense, he is like Kim Kardashian, except without the paparazzi, penny-clicks or pertinence. At 31, Guerrero looks like he is on the long road to nowhere. He has taken debilitating punishment in several of his most recent fights and has not scored a stoppage in nearly five years. In his last start, a grueling unanimous decision over Yoshihiro Kamegai nine months ago, Guerrero struggled at times in a toe-to-toe war against a fairly unaccomplished pro. Before that, his disappointing performance against Floyd Mayweather Jr. in 2013 was most notable for his outside-the-ring foibles – as well as those of his father, Ruben, who gives Angel Garcia a run for his money for the top slot on the Patriarch Pinhead Pound-for-Pound list. Once a smooth-boxing featherweight with some nifty southpaw moves, Guerrero has morphed into a lumbering pressure fighter who relies on his grit, stamina, determination and conditioning to outlast the opposition. Add to that list of attributes a chin comparable to quartzite and you have a fighter who will be in your face from wire to wire. 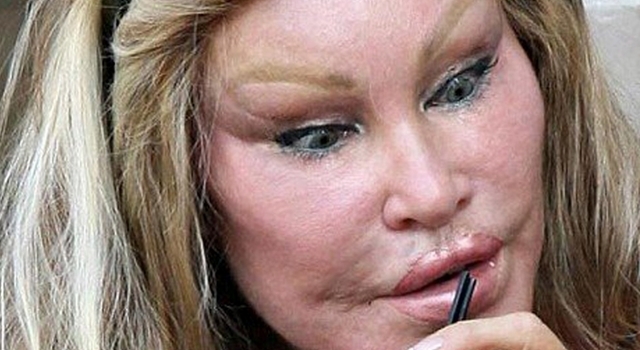 Of course, after the final bell rings, that face may look like a fair imitation of Jocelyn Wildenstein or some other plastic surgery mishap. Guerrero is prone to cuts, bruises and swelling and Thurman is the kind of fighter who specializes in cuts, bruises, and swelling. If Guerrero can make Thurman uncomfortable in close – or if he can push Thurman back with his jab and a steady if not especially powerful attack – then he may have a chance to score his share of points. But Thurman seems a little too fresh and mobile to allow Guerrero to get into a grinding rhythm. This may be an exciting fight but, in the future, it will likely be remembered with an asterisk: as the first step into the unknown.